The Chicago, Milwaukee and St. Paul Railroad tower is one of the more visible things in Great Falls. This railroad, more commonly known as the Milwaukee Road, pulled out of Great Falls back in the 1980's - and no longer exists today. For those of you up on railroad history, you'll notice that the "P" for the pacific part of the railroad is missing. 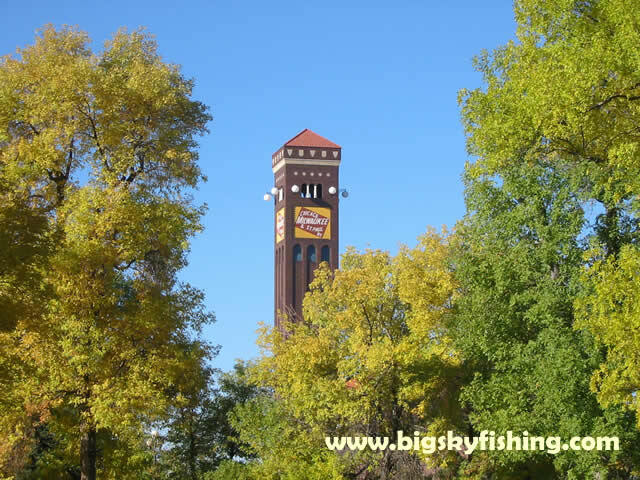 This railroad tower was created before the railroad began construction to the Pacific ocean and before the "pacific" was added to what would become the full name of the Milwaukee Road - Chicago, Milwaukee, St. Paul and Pacific Railroad.